Its been a busy couple of weeks – with our “Goldmine” firing occurring the day before a Gallery showing – all the pieces were quickly packed into boxes and shipped out to their respective foster homes until they find their permanent toad homes with one of our customers. 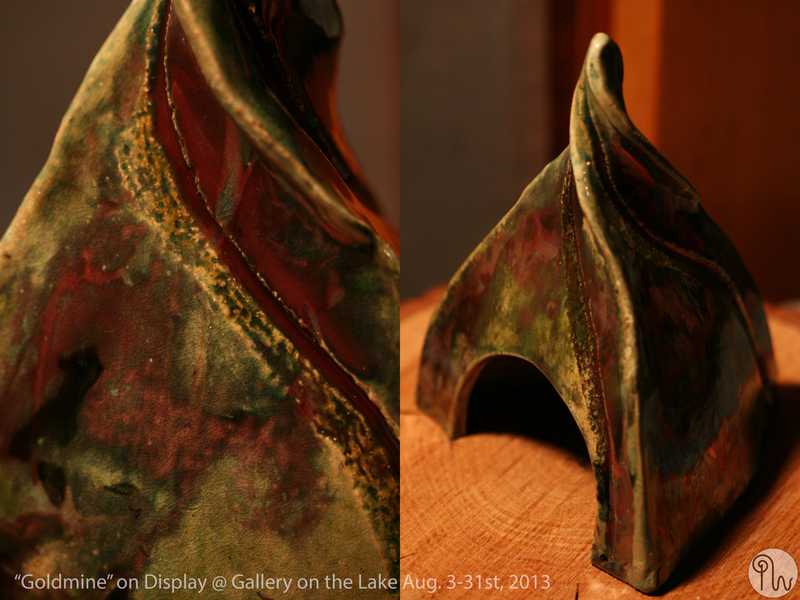 The following piece was photographed before it was sent to the Gallery on the Lake on Lower Buckhorn Lake. It will be on display (and for sale) until the end of August. This is a particularly unique piece. It was fired higher than our usual 1800F to ~2200F to give it a stronger stoneware body. It was made oversized with a unique spiral twist to the top. 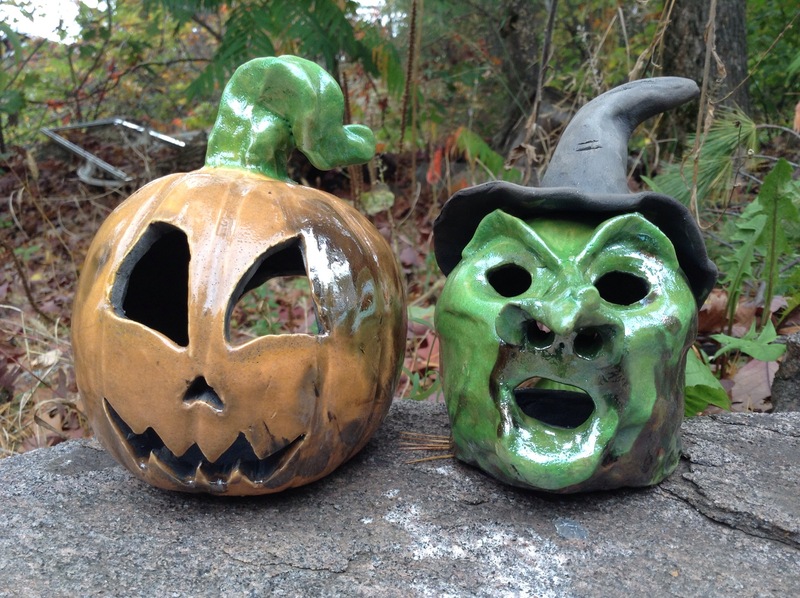 The partial glaze reduction resulted in an especially unique glazing result. You can literally see the flames that wicked up the surface of the clay as it was reduced in straw! The underlying copper wash in the grooved spiral helped to create this truly one-of-a-kind piece!